Chinese Medicine uses cupping, or fire cupping, as a therapy that uses jars attached to the skin by a negative pressure either by using fire or vacuum suction. Cups have a warming quality and create a free flow of qi and blood throughout the meridians. Cups can flush the toxins from your body and stimulate the lymphatic system. Cupping is successful in treating conditions of muscle pain and swelling. Cups can alleviate pain of the upper and lower back, legs, shoulders, and from sprains and strains. This therapy can also be used for gastrointestinal problems such as; stomachaches, vomiting, and diarrhea. Additionally, respiratory problems that include coughing, asthma, and common colds can also be helped. The way it works is by the jars drawing the skin up and creating a localized reaction on the skin which may be a pink, red or violet color. 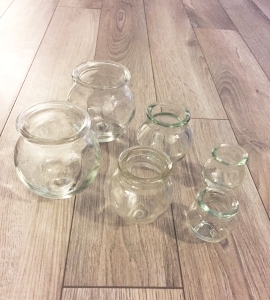 Previously, jars were made mostly of bamboo, but now they are mostly made of glass or plastic. Transparent cups allow us to see the extent of the localized reaction which is occurring at the skin level. The cups can be moved as a form of massage or left in place for 5 to 10 mintues. The bruises at the local areas can be dark but not painful and should diminish within a few days. Acupuncture is a worldwide form of medical treatment that stimulates meridians throughout the body to promote natural healing and improve overall functioning. Acupuncture can help with a variety of conditions, as most conditions are due to imbalances in the body including deficiencies or toxicities. The most common conditions treated by acupuncture are pain, stress, insomnia, headaches, allergies, common colds, respiratory problems, arthritis, digestive disorders, menstrual disorders, infertility, menopausal symptoms, anxiety, depression, addictions, and neurological conditions. Acupuncture does more than simply relieve symptoms, it is a whole body approach. The aim of acupuncture is to treat the whole patient and restore balance between the physical, emotional and spiritual aspects of the individual. It is also used as a preventative treatment. Regular acupuncture treatments can help to strengthen the immune system, help the body to heal itself, and find homeostasis overall. Many people try acupuncture when they have tried everything else. If you feel like you have tried everything with no luck, or you just want to try Chinese medicine first, go ahead and give us a call at 949-392-6490. Whatever stage you are in your journey back to health, we will try our best to get you where you want to be. The answer is that your tongue represents your overall health condition. Chinese Medicine has taught us to understand the physiology of how the tongue changes in different physical and mental states. Your body’s physiological state influences the tongue’s shape, color, moisture, coating, cracks, and deviations. Areas of the tongue also correspond to organs and organ systems in the body. Depending on the area, abnormalities can show the location of the imbalances. Normal tongues are pink, moist, and have smooth edges. Abnormal tongue colors can be very pale, bright red, dark red, purple, and black. Additionally, abnormal tongues can have very thick coating, or no coating at all, deep cracks, or swollen and show teethmarks. Early changes on the tongue do not always represent disease. But the imbalances they represent can lead to disease. So now I have a question for you. Have you looked at your tongue today?